At the end of the week, we resume everything that the crypto community talked about over the past seven days. 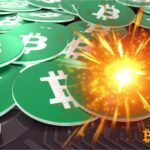 This week Vitalik Buterin, Blockstream and others were marked by their April jokes, experts called the perpetrators of the bitcoin price pump, and Elon Musk briefly became Dogecoin's cryptocurrency CEO. The CEO of the cryptocurrency investment company BKCM, Brian Kelly, said that Bitcoin next target is $ 6,000. In an interview with CNBC, Kelly said that "a reasonable goal is close to $ 6,000." The cofounder of Galaxy Digital Mike Novogratz tweeted a post in which he called on his subscribers to sell lightcoin and buy bitcoin. Charlie Lee, the creator of Litecoin, categorically disagreed with Novogratz position and said that Litecoin is currently on the list of the most productive cryptocurrencies. According to Coinbase, the general director of the American cryptocurrency exchange, Brian Armstrong, a massive transition of investors into the cryptosphere will begin after the three main tasks are solved - volatility, scalability and usability. Bitcoin evangelist Andreas Antonopoulos said that bitcoin in the financial sector will increase significantly only after the next generation of use cases has been developed. 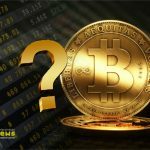 Fundstrat Global Advisors analyst Tom Lee believes that at this stage, the fair price for Bitcoin will be $ 14,000. Peter Mallouk, president of Creative Planning, a capital management company, urged investors not to rush into buying digital currencies and take a wait-and-see attitude. 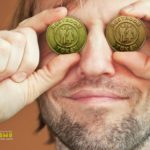 Malouk still believes that Bitcoin is a dubious asset, and soon we will see its collapse. DataLight analysts have published a study predicted that over the next 10 years, Bitcoin will become the main payment system and push into the background such giants as Visa, PayРal and MasterCard. The review, published by the authoritative publication of the Wall Street Journal, states that during the first quarter of 2019, startups were able to attract investments totaling no more than $ 118 million. 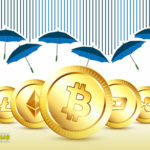 According to Flipside Crypto analysts, a large number of wallets became active two weeks before the biktoin spurt on April 2. From 40% to 50% of all bitcoins were stored in wallets that were inactive for one to six months. Analysts at Passport Capital published a report in which they announced that the highest rates of Bitcoin implementation (BTC) were recorded in developing countries. In developed countries, the spread of the largest cryptocurrency, by contrast, is the lowest, since there is no urgent need to use alternative financial instruments. In a recent survey, Self Lender found out that in 2019, 7.34% of Americans would like to choose cryptocurrency as an investment. 1500 participants were presented with four investment options - stocks and securities, real estate, bonds and digital currencies. According to Google Trends, the number of searches for Bitcoin in the first half of the day exceeded 50,000. The largest number of requests were recorded in Nigeria and South Africa. Austria, St. Helena and the Netherlands were also in the top five. BitMEX exchange has promised to pay compensation to users who have lost funds on the website due to a sudden jerk of Bitcoin this week. Coincheck has announced the launch a bitcoin OTC for large institutional investors. American cryptocurrency exchange Coinbase began offering cross-border payments using XRP from Ripple. Decentralized exchange Hodl Hodl has stopped supporting lightcoin. The main reason for the termination of support was the lack of strong demand for trading lightcoins. The Jamaican Stock Exchange announced the imminent launch of operations with Bitcoin and ether, and also entered into a partnership agreement with the Canadian blockchain-based company Blockstation. The Telegram Open Network has not yet been launched, but TON.labs has already emerged, which intends to simplify and speed up the creation of applications for it. The company is preparing a toolkit for application developers for TON - TON.labs is developing, using the technical documentation that Telegram sent to investors TON last fall. PayPal payment processor has made its first investment in a blockchain startup called Cambridge Blockchain, which promises its customers effective management of confidential data. The Supervisory Board of the High-Tech Park in Minsk decided to register 56 new residents. Thus, according to the HTP press service, today there are already 505 companies in the park. SEC has published a guide to assess the legal status of digital assets. The guide presents an analysis of the so-called Howie test, which is used by the US Supreme Court to decide whether certain assets are securities. Profile Committee of the State Duma has prepared amendments to the bill on sovereign Runet, which will oblige to encrypt all traffic using Russian cryptography. In order to stimulate the development of the blockchain sector, the Agency for Internet Censorship of China has created a list of companies that have filed relevant applications and can now start a business associated with the blockchain. © 2018 bit.news | queries 219, for 0.441 sec.